Hunner's Lesion was previously called Hunner's Ulcer or Hunner's patches. 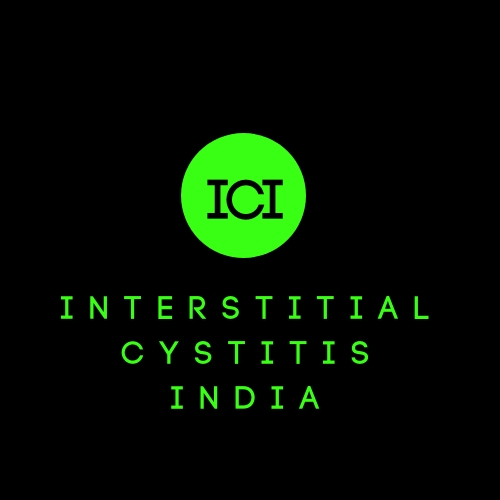 Some call them a subtype of Interstitial Cystitis while other's call it a completely different disease. It is believed that 5-10% of IC/BPS patients suffer from Hunner's Lesion. Patients with this form of IC have more severe symptoms than patients with nonulcerative IC. Hunner's Lesions are distinctive areas of inflammation on the bladder wall and, like an ulcer, they can bleed, ooze, and may vary in size. Hunner's Lesion was first detected by Guy LeRoy Hunner in 1915. 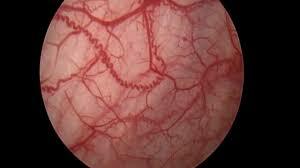 The following definition by Magnus Fall was accepted by ESSIC: "Hunner lesion typically presents as a circumscript, reddened mucosal area with small vessels radiating towards a central scar, with a fibrin deposit or coagulum attached to this area. This site ruptures with increasing bladder distension, with petechial oozing of blood from the lesion and the mucosal margins in a waterfall manner. A rather typical, slightly bullous edema develops post-distension with varying peripheral extension". Hunner's Lesion can be detected with the help of Cystoscopy with Hydrodistension. However, many experts believe that lesions can be successfully seen without hydrodistension. Even when cystoscopy with hydrodistension is performed, Hunner lesions are likely to be detected mainly by experienced urologists. A biopsy may be necessary to prove that it is a Hunner lesion and/or to exclude a carcinoma in situ. On 17-18 April 2018, ESSIC (European Society for the Study of Interstitial Cystitis) in collaboration with ICICJ ( Interstitial Cystitis Japan) and SICJ (Society of Interstitial Cystitis of Japan) organized a conference on Interstitial Cystitis/Bladder Pain Syndrome with the theme as Hunner's Lesion in Kyoto, Japan. 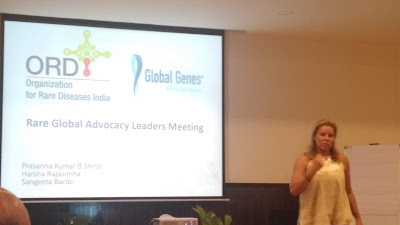 Dr. Rajesh Taneja and Dr. Nagendra Mishra from India were present at the conference. There it was discussed that with Narrow Band Imaging (NBI) bladder lesions are easily and clearly recognized. Treating Hunner’s ulcers can reduce symptoms significantly. The ulcers can be removed through fulguration (burned off with the use of electricity or a laser) or resection (cutting around the ulcer, removing both the ulcer and the surrounding inflamed tissue). Some ulcers may recur in the same location though. Cystoscopic injection of triamcinolone or Kenalog is also being researched. Reference: IPBF, ICA, Wikipedia, An Overview of Diagnosis and Treatment, Jane Meijink, August 2018. This is really interesting. Could you list some of the symptoms that might be common with this condition? Are they similar to symptoms of bladder cancer?